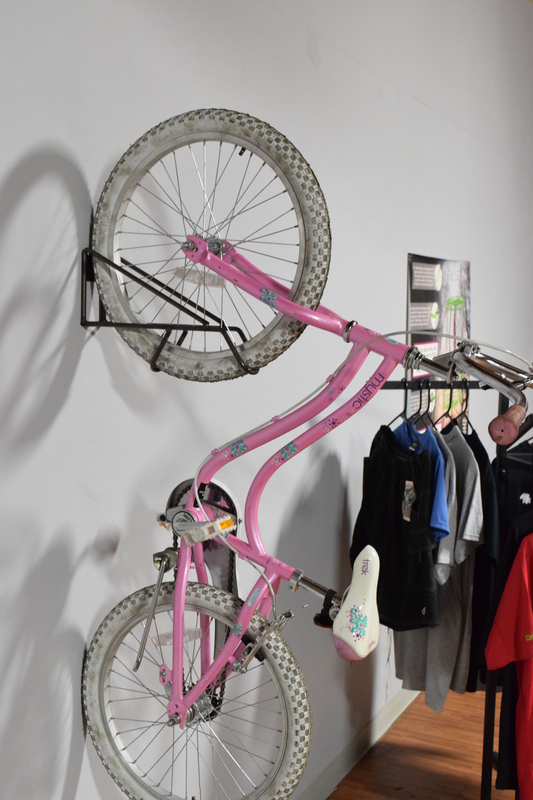 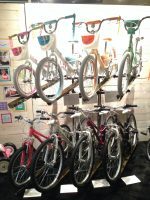 Introducing the Wall Rack designed specifically for kids bikes! 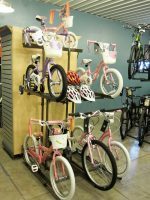 New for 2017! 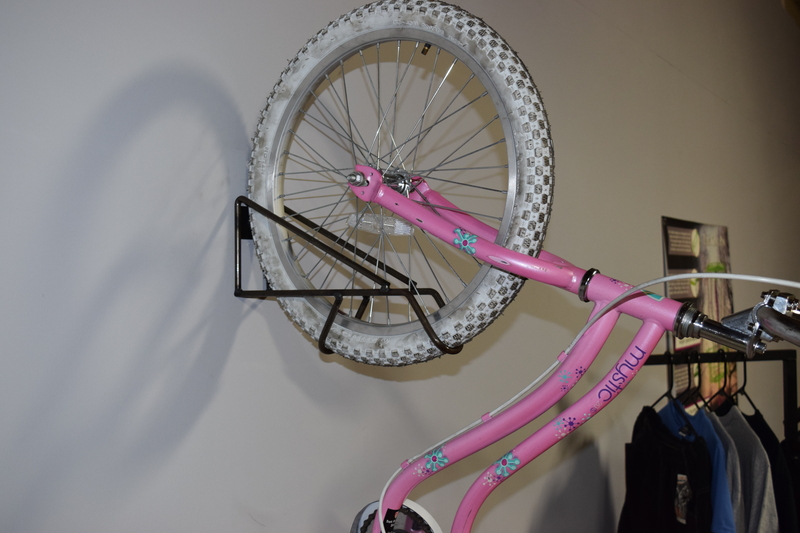 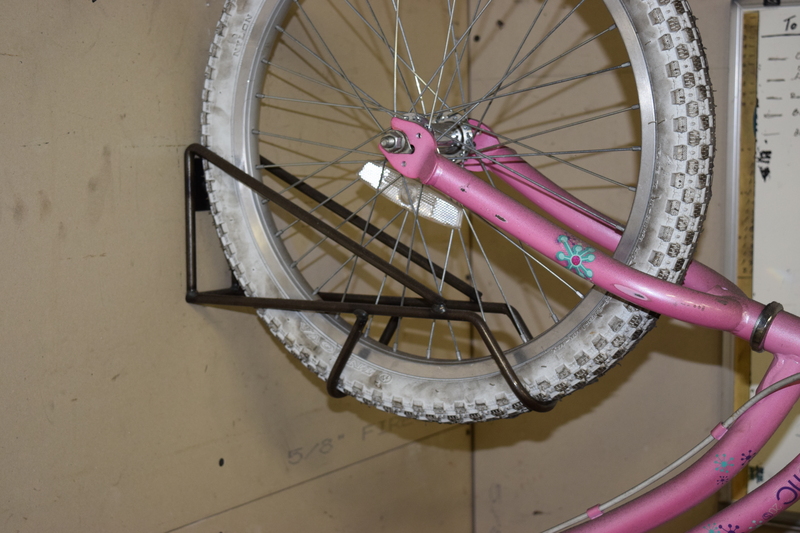 The Kids Wall Rack mounts directly to the wall and will hold a 12″ – 20″ kids bike vertically from the front tire. 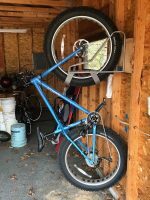 Does not work with fenders. 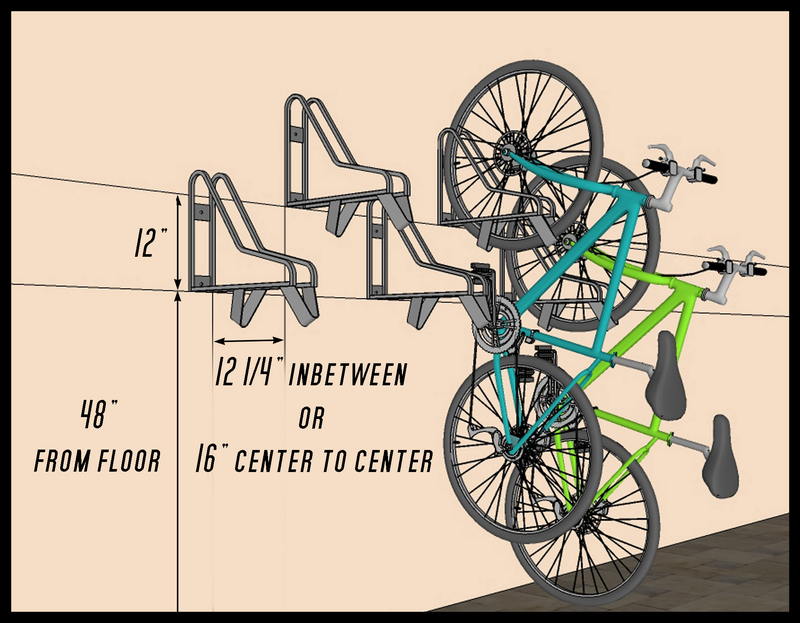 Made with 3/8″ Solid Rod, the sturdy construction frees up the floor, whether it’s a retail space or garage. 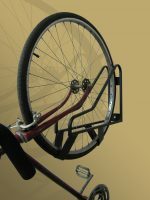 Lag bolts included. Recommended mounting to wood studs or cement (anchors not included). Not recommended for dry wall installation.